Born at London, Ontario on 12 November 1878, son of William G. Smith and Sara J. Murphy, he was educated in Ontario public and high schools. He began his business career in 1895 as a Clerk in the McClary Manufacturing Company of London, and then worked as the company’s first commission-based stove salesman. In 1901, he moved to Carberry to join his uncle, Gabriel B. Murphy in the cattle business. Having convinced his uncle to finance a move into the grain marketing business, he moved to Winnipeg in 1903 as a junior partner in G. B. Murphy and Company. Murphy died in 1910, at which time Smith gained controlling interest of the company, renaming it Smith Murphy & Company and running it with his cousin W. A. Murphy. While Smith Murphy & Company had initially dealt only as grain exporters and commission merchants, in 1919 the company received ownership of a dozen grain elevators as payment from a debtor, and shortly thereafter formed the Province Elevator Company, with Smith as its President. In 1923, the Reliance Grain Company was assimilated into Province, and over the years other smaller companies were added. In 1928, the Reliance Grain Company Limited was formed as a publicly traded company, with Smith and Murphy holding a firm thirty-five percent of the stock. He also served as President of the Smith, Murphy Grain Company of New York. Three of Smith’s four sons—Harold, Clarence and Gordon—were active in the business, and remained so until Reliance Grain Company was liquidated following his death in 1947. He was a director of the Ogilvie Flour Mills, the Bank of Nova Scotia, the Canadian Steamship Lines, and the Northern Trusts Company. 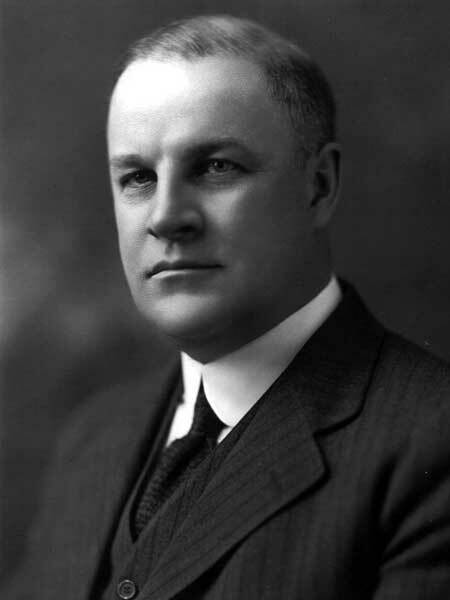 A member of the Winnipeg Grain Exchange, he was its president in 1914-1915 and 1932-1933. In 1901, he married Emily J. Frogley of Toronto, Ontario. They had four sons: Charles Gordon Smith, Harold Arthur Smith, Clarence Smith, and Robert Smith. He was a member of the Manitoba Club, Carleton Club, St. Charles Country Club, Pine Ridge Golf Club, Motor Country Club, and Lakewood Country Club. His recreations included motoring and golf. A deeply religious man, from 1903 to 1910 he was an active member of Westminster Presbyterian Church. Along with John Bellingham, in 1910 Smith left Westminster to found the Ellice Avenue Mission, renamed Elim Chapel in 1913. A noted lay preacher and bible teacher, he traveled extensively across North America, speaking in churches and leading Bible conferences. He served as trustee on the board of Chicago’s Moody Bible Institute, was the first Canadian on the board of Dallas Theological Seminary, an active member of the executive board of the Central American Mission and a director of Pennsylvania’s Montrose Bible Conference. He was elected president of the World’s Christian Fundamentalist Association for 1925. From 1925 until his death in 1947 Smith was President of the Canadian Bible Society and also served a term as Vice-President of the British and Foreign Bible Society. In 1927, he purchased the former St. Stephen’s Presbyterian Church on Portage Avenue as a permanent home for the Elim Chapel. When he died, the Winnipeg Free Press reported that, “all movements, having as their purpose the development or advantage of Winnipeg or Manitoba, could always enlist his sympathy and support.” The day following his death, trading on the floor of the Winnipeg Grain Exchange was halted a period of silence observed in his honour. He died at Winnipeg on 31 January 1947 and was buried in the St. John’s Cemetery. At the time of his death, he lived at 515 Wellington Crescent. “Heart attack fatal: Sidney Thomas Smith, grain merchant, dies,” Winnipeg Free Press, 1 February 1947, page 1. The Exchange: 100 Years of Trading Grain in Winnipeg by Allan Levine. Winnipeg: Peguis Publishers Limited, 1987. Grain: The Entrepreneurs by Charles W. Anderson. Winnipeg: Watson & Dwyer Publishing Limited, 1991. “The Winnipeg Fundamentalist Network, 1910-1940: The Roots of Transdenominational Evangelicalism in Manitoba and Saskatchewan,” by D. Bruce Hindmarsh, Didaskalia, Fall 1998. Not a Typical or Uncontroversial Fundamentalist: Sidney T. Smith and the Story of Elim Chapel by Jamie Howison. Winnipeg: Robinswood Books, 2010. This page was prepared by Gordon Goldsborough and Jamie Howison.